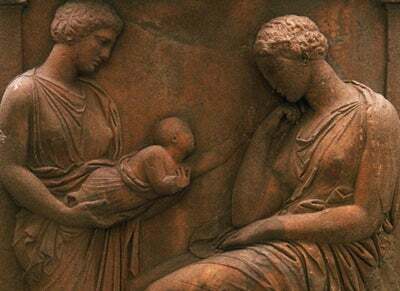 Back – way back – in the day, there were ancient festivals dedicated to the worship of mother goddesses (aka the first Mother’s Days). In ancient Egypt, Isis had many celebrations dedicated to her and the Greeks and Romans had similar customs for their maternal deities. In the scheme of things, it didn’t take long for the worship of mother goddesses to be replaced with the celebration of real human mothers. As early as the 1600s, Christians chose the 4th Sunday of Lent to celebrate Mary, the mother of Christ. It became known as Mothering Sunday and everyone was encouraged to take the day off, eat cake, and hang out with their moms. This religious holiday is where the idea for our own, modern Mother’s Day tradition stems from. In 1872, a woman named Julia Ward Howe suggested that Mother’s Day be a legit holiday. You may have heard of Julia – she’s kind of a big deal. An activist, writer, and poet, Julia famously wrote “Battle Hymn of the Republic,” which was a real thigh-slapping hit in her day. She penned the patriotic tune during the Civil War, but after the battles had ended, Julia was upset. She wanted mothers to come together to protest the futility of their sons killing the sons of other mothers. She campaigned tirelessly for Mother’s Day to be official, but given that she wanted it to replace the 4th of July, it’s not such a surprise that she didn’t have more of a following. In the end, June 2nd was designated for the holiday. In 1873, cities across North America held Mother’s Day celebrations, many of which were funded by Julia herself. Years later, she stopped financing the holiday, and most stopped observing it. Following Julia’s death, Anna Jarvis took the reins. Anna really loved her mom, who passed away in 1905, and she wanted to celebrate her life every year. In 1908, Anna honored her mother with a church service during which each person in attendance received one of the late Mrs. Jarvis’ favorite flowers: white carnations (who knew someone actually liked them). But Anna didn’t want to just celebrate her mother every year – but all mothers – so she began lobbying. Thankfully, her seemingly endless days of writing letters to powerful people weren’t spent in vain. Howe’s work paid off. Just a few years later, in 1914, Woodrow Wilson signed a joint resolution designating the second Sunday in May Mother’s Day. Ann’s triumph was short lived. Sure, initially, everyone was gung-ho about going to church and spending time with their moms but as soon as the holiday gained a following, more and more people were using it as an excuse for presents instead of for remembrance. (According to retailers, Mother’s Day is the second highest gift giving day of the year next to Christmas.) Ann was so sickened by people’s greedy natures that in 1923 she actually filed a law suit to stop a Mother’s Day festival (she lost miserably). But regardless of how Ann thought Mother’s Day ought to have panned out, it’s now celebrated in over 70 countries and is a nice way for all to recognize, celebrate, and appreciate the women who shape so many lives.